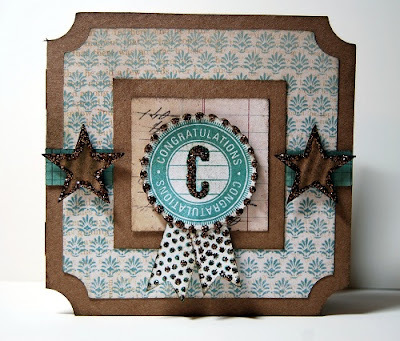 I had so much fun playing with new product to make this card! I started by cutting the card base and first layer with the new Cricut Art Philosophy cartridge. I am SO in LOVE with this product! Do you see the medallion in the center of the card? I made it by cutting out the scallop shape and then stamping with a matching stamp that comes in the Cricut bundle. Cricut to cut out and clear Acrylix to get perfect stamp alignment - truly a dynamic duo! I've been a fan of our Glitz Glitter Gel since we first came out with the Stardust shimmery version but this new Bronze colored Glitter Gel is just to die for! Can't wait to use the Silver and Red too! Love your card, Paige! The colors in this packet are fab!